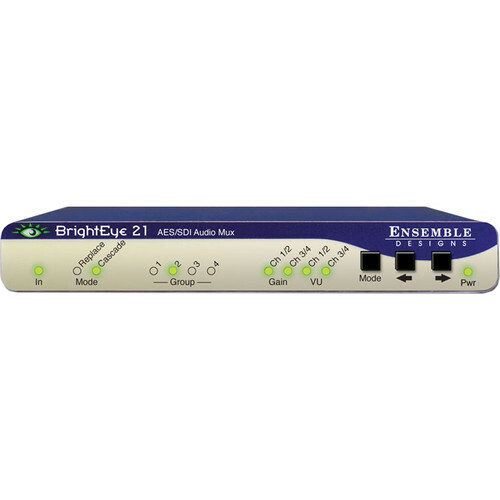 The Ensemble Design BrightEye 21 is an audio embedder for SDI digital video signals. 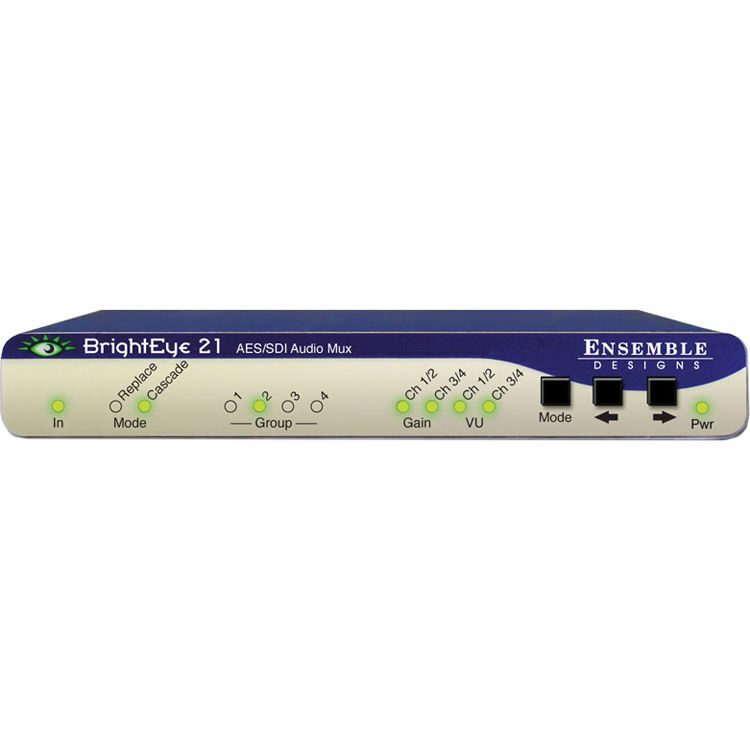 This device will input a digital audio signal to an SDI video signal. Four AES audio channels can be embedded into the SDI video stream. Audio mixing, level adjustments and channel shuffling can be accomplished in both modes. Dimensions (WxHxD) 5.625 x 0.8 x 5.5"